University of Waterloo is known more for industry-associated innovation despite many local community engaged initiatives. But when the Governor General returns to the university where he used to be President he will be speaking on collaboration for social innovation thanks in part to RIR. L’Université de Waterloo est plus connue pour l‘innovation associée à l’industrie, malgré de nombreuses initiatives communautaires locales engagées. Mais lorsque le gouverneur général du Canada revient à l’université qu’il présidait, il s’exprime sur la collaboration au service de l’innovation sociale, grâce, entre autres, au RIR. Led by York University, ResearchImpact-RéseauImpactRecherche (RIR) has exhibited at Congress every year since 2007 – see our post cards and other reports from Congress 2011 posted on Mobilize This! 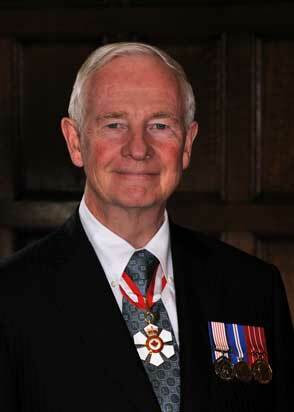 This year Congress is in Waterloo and will be opened by His Excellency, the Right Honourable David Johnston, Governor General of Canada. Nice indeed but what does he have to do with knowledge mobilization? This year, a lot. As announced on May 3, 2012, by the Canadian Federation of Humanities and Social Sciences (CFHSS, organizers of Congress), “The Governor General believes that the creation and sharing of knowledge is critical if we are to effectively and equitably address today’s complex, global issues. It is hoped that the discussion of cross-sector collaboration and social innovation at Congress 2012 will encourage students, researchers, employees and citizens alike, as we strive for greater prosperity and quality of life for all.” CFHSS’s announcement also referenced RIR. “CFHSS has been working with the United Way of Canada, the Social Sciences and Humanities Research Council and ResearchImpact, which are engaged in a joint project, the Community-Campus Connections (CCC) Initiative. Its purpose is to support a culture of collaboration and to marry the resources of communities with those of post-secondary institutions to address persistent social and economic challenges Canadians face today”. Community-campus collaborations. Cross sector collaboration. Social Innovation. All very knowledge mobilization. His Excellency will be opening Congress with a Big Thinking lecture that will be informed, in part, by the work of the CCC Initiative, a year-long collaboration by York University on behalf of RIR, SSHRC and United Way-Centraide Canada. We are delighted that His Excellency will be speaking on this topic as he opens Congress 2012. RIR will be there and you will receive daily post cards from Congress posted on this blog.